Vacation. The feel of sand between your toes, waves crashing upon some forgotten shore, the serenity of being one with your surroundings. Also one with an ice-cold beer.. Sweat pouring from your brow as you traverse a narrow trail on a ridgeline at 8000 feet. The air is crisp and so are your thoughts because at this height you feel closer to heaven. To your left unparalleled views, to your right a crevasse that would surely scare even the most steadfast of climbers. But up you go, you are living life to the fullest, you have one week of vacation per year that’s all yours and you are living it up! Beaches are for the weak. Really? One more monument to go, man my dogs are barking! Cant everyone else just go on without me? I know this is the trip of a lifetime, but do we have to use my entire lifetime up right now? Ok I am coming, just one more monument; right? Then we can go back to the hotel bar and start self medicating this foot pain away! Never knew I was going to take a week off to walk a thousand miles while sightseeing our nations tributes to history! What a moron, I wish I was at a beach some where. Is this what vacation means to you? Does any of this sound familiar or ring true? Well these were actual examples of vacations I have been on in the past. Times that were special in their own ways. Moments I will cherish and remember always. So where did Betty go this past week? What kind of vacation did I embark upon? Was it mind-blowing fun, thought-provoking, or calm and relaxing? Nope! It was none of those things at all! It was hard work, “Survivor” like, mentally taxing and filled with all the challenges a parent could possibly handle! I went to the fair! Yep that’s right boys and girls Betty packed up her things, loaded up the kids and all their animals and headed to the fair! Why you ask? 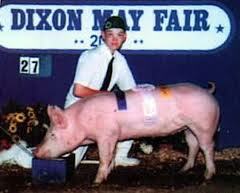 Well let me enlighten you; here in good old Redneckville USA we take great pride in our animals! Some would even say we love our animals first, family second! Now hold on a minute it’s not like that you crazy fool! Kids around these parts are all part of a national organization (no not the Nazi youth movement you filthy animal) called 4-H. In 4-H kids learn about raising animals for commercial markets along with developing breeding programs, ultimately enabling or teaching them the ability to carry on farming. 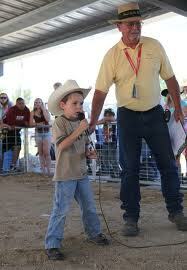 As kids get older and enter high school many of them join FFA or Future Farmers of America. With hard work and acquired skills there are endless scholarship possibilities for these young go getter’s. 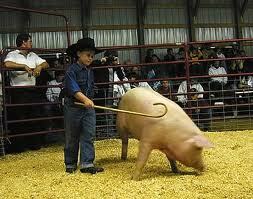 So we packed up our little 4-Hers, loaded up their animals and headed to the local fair for a week of washing. trimming, showing, and eventually selling their animals at auction. The kids receive a check for all the hard work which is placed back into the bank to start next years project. With a little luck and a lot of hard work a kid could have enough money saved by college to pay for a years worth of school. Throw in a few scholarships and you can plainly see the advantage to this program. I am the leader of the pig group (insert snort, chuckle here) and we arrived with 6 clean and happy pigs! They laid around and let thousands of people gaze upon their little snouts. Our kids from the group did a great job of enticing young ones to step up and pet the pig ( a phrase that means something entirely different in other circles) they also explained how pigs are raised, what they eat, where they sleeps and why they like to cover themselves in mud. The fair always reminds I take for granted my country upbringing as I answer questions from parents and children who have spent their entire lives inside the city limits. It really is a bubble we place ourselves inside. So the fair. What can I possibly say about spending my week’s vacation at the fair. I know I have said this before but I am going to say it again: (old guy moment) In my day the fair didn’t cost you an arm and a leg! In my day you didn’t need to give blood just to purchase a corn dog! 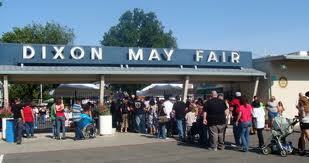 When I was a kid I could go to the fair with 40 bucks on Monday and be using the last of it on Friday. 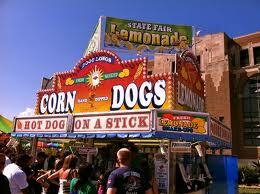 That is a whole week of rides and corn dogs, cinnamon rolls and soda for $40.00! Today $40.00 will get you 4 corn dogs and two beers then you better pony up at the ATM so maybe just maybe you might have enough extra cash to buy your way off the grounds. Got the kids with you, just leave your wallet at the main gate cause your cashing in your IRA’s to pay for this excursion! $29.00 dollars for a carnival ride wristband! Times that by four and you can see how this trip can rapidly force you to file chapter 11 bankruptcy protection. 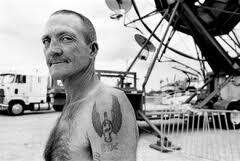 Speaking of carnival rides, one thing that hasn’t changed over the 37 years I have been going to the local fair is the carnival ride operators or “carnies”. These toothless gems of salesmanship and lack of hygiene still rule the roost. Long hair, beards, toothless grins, scrawny beat up demeanor, most looking as though they just popped out of a heroine coma long enough to pull their shift on the Zipper. 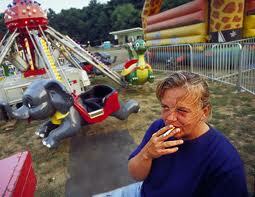 What would a carnival area be without them, and yet we trust our children with their safety. If you saw any one of these gents strolling down the street you would cross to the other side and not make eye contact. You would lean over to your kid and whisper “remember when I told you about strange people to stay away from? Theres your example”. STRANGER DANGER-STRANGER DANGER-STRANGER DANGER!!!! I am sure Carnies are really nice people deep down inside, heck catch one right between coming down off the coke and mellowing out on some refer and you got yourself a free prized stuffed animal to take home! Whoop Whoop!! It’s nice to see some things never change….. Besides the animals, food, and carnival rides our fair still has the charming buildings filled with award-winning arts and crafts. I have always found other people’s creativity or lack there of, interesting. 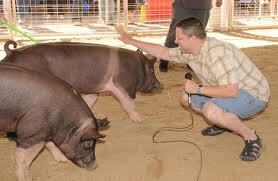 There are hog calling contests, horse shows, sheep shows, goat and cattle shows. Rabbitts, chickens, turkey, and quail. It really was a great week of people watching, and developing better interpersonal skills. Definition: I drank beer and bullshitted with other parents for an ungodly amount of time. Watching the kids smile, make new friends, have fun and create memories that will last a lifetime!